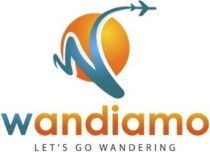 Wandiamo is an early stage startup focusing on empowering people who are passionate about traveling to travel more by reducing the work involved in researching and planning a trip. Users will be able to share their travel histories, interests, bucket lists, and any timing or budget constraints and access travel recommendations personalized to them. As an avid traveler myself, I saw an opportunity in the online leisure travel marketplace to help bridge the gap between all the inspirational sites out there that create demand for travel and all the functional sites that only work for travelers that already have a specific destination in mind. My goal is to create a place where travel lovers can share their trip dreams and be inspired, but also find actionable options to make these dreams a reality. I am still in the process of creating all the wireframes for my site and hiring designers/developers to help execute on my vision. If you'd like to be one of the first people to find out when the site is live, please signup here: http://signup.wandiamo.com. Search less, travel more. Go wandering with Wandiamo!